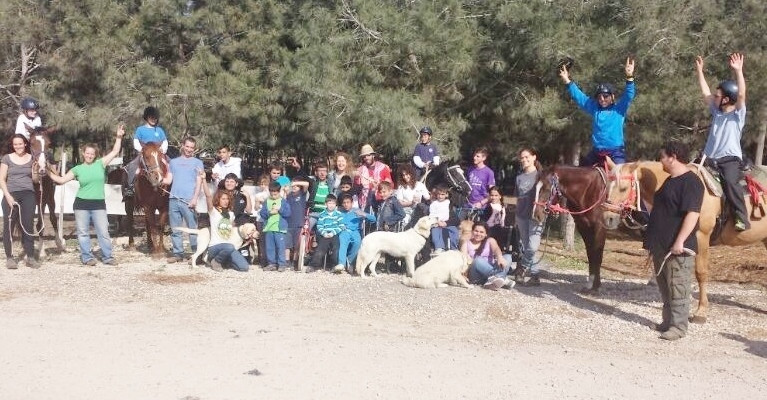 Misholim was founded in 2009 with the intent to promote and support a wide community with various special needs using Animal based therapies. Misholim functions with family spirit, mutual cooperation, dedication, camaraderie, respect, loyalty and unlimited support, between its members and the community. The activities are possible thanks to the professional and dedicated team of volunteers that carry out the activities of “Misholim” at all times tirelessly. Misholim works in close partnership with the “Tlamim” centre with the mutual objective to provide solutions to children and youth challenged with physical and emotional disabilities. We offer therapies designed to improve quality of life through the use of specially trained councillors and animals. Therapy sessions are undertaken by our councillors observing the highest professional standards and with strong sensitivity to the needs of both the community in therapy and the animals used to provide that therapy.